OTTISSIPPI Ch. 10, Part 2: Reserves and Indian Lands cont. 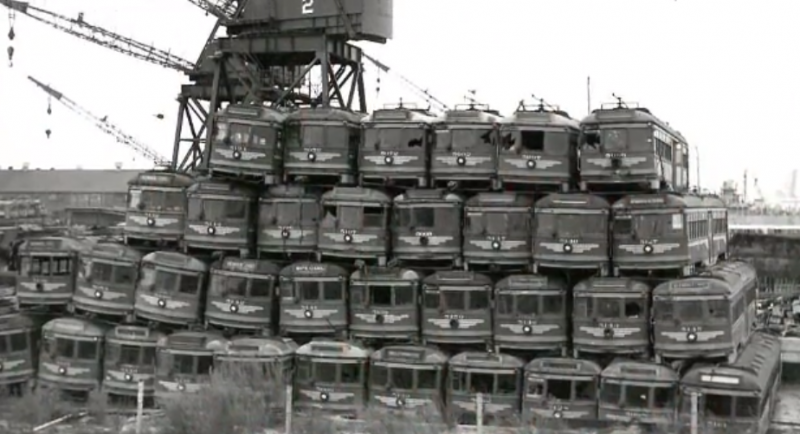 Port Huron Past and Present : What happened to the Interurban? “Port Huron Past & Present” is a series of historical videos created by Port Huron native Bob Davis. Through his historical photographs and films, Bob is able to place the viewer back in time. For many of our readers these photos and videos will be a walk down memory lane, but for the younger crowd, they will learn about the fascinating history of this great town. In this episode, we look back at what happened to the Interurban. Here at Blue Water Healthy Living we thank Bob for allowing us to share his stories with you. The history contained here are items that are often forgotten with time, but that won’t be the case thanks to Bob’s hard work, and passion for history. So, enjoy the show, and stay tuned to Blue Water Healthy Living for future chronicles of Bob’s “Port Huron Past & Present” series. I was born and raised in Port Huron and as far back as I can remember I have had a love of the local history. I believe this was because of my father. He collected postcards of Port Huron that date back to the 1800s . I enjoyed looking at his collection as a boy that included the different eras of postcards. Leather, Linen and Photo Chrome postcards, most of which you will see in these videos. My father was always willing to share his collection with the public that included the museum as well as many other venues. When my father died I inherited his collection as well as his love of sharing with the public. My dad would be amazed to know that his collection has been seen by thousands due to the technology of social media. In 2012 I bought a Sony video program to share our family videos and thought it would be cool (do they still use that word?) to do a video of the history of Port Huron’s four corners which is at Huron Ave and Grand River and post it on the Facebook Port Huron History sites ( I now have my own Port Huron History Facebook site at https://www.facebook.com/PortHuronHistory/ ) I never intended to make more than this one video but it was so well received I decided to make two and then three and now am working on number 149. The videos are done geographically going North as far as Fort Gratiot, East as far as the river, South as far as South Park and West as far as Port Huron Twp.. The videos are titled “Port Huron Past and Present” because I thought it was important to know where all these historical photos were taken and what is there today. Since I retired to Indiana in 2003 to be close to my children and grand children and now great grand children, I use Google Street maps to show this comparison. Everyone at one time or another has had a fantasy of traveling back in time, to recall the time when they were a child or what the city was like for their parents growing up, or even their grandparents. These videos are that time machine. Enjoy the show? Don’t forget to “Like” us on Facebook!